The executive function of the World Universities Debating Council is exercised by three officers--a chair, a secretary, and a registrar--elected by the body each year at the New Year's Day meeting. Below, you'll find bios and contract information for this year's Executive Committee officers. 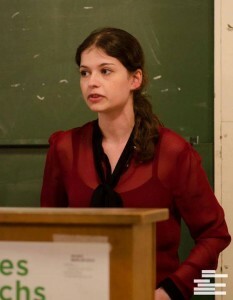 Madeline debated for the Monash Association of debaters between 2008 and 2014. In that time, she won the Australasian Intervarsity Debating Championships (Australs) and was also a Worlds top-ten speaker and semi-finalist. Madeline has extensive judging experience, including judging the EFL Grand Final at Worlds 2014 and Grand Finals at Australs, the Australian Intervarsity Debating Championships (Easters), the European Universities Debating Championships (Euros) and the United Asian Debating Championships (UADC). In 2014, Madeline was a Deputy Chief Adjudicator at both Otago Australs and Malaysia Worlds; and she has also been on the Adjudication Core of many other international tournaments, including the Asian British Parliamentary Debating Championships, the Cambridge Intervarsity and the Belgrade Open. Madeline can be reached by email or Facebook. 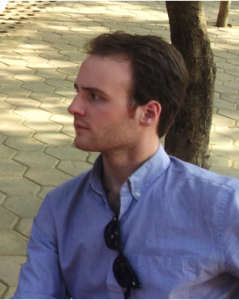 Andrew debated for the Yale Debate Association for four years and graduated in 2013. As an undergraduate, he debated in finals of the American Parliamentary Debate Association Nationals, finals of the HWS Round Robin, and Octofinals of WUDC Berlin. He has judged multiple Worlds outrounds, including Open Semifinals at WUDC Malaysia, and served on the adjudication teams for the 2014 Yale IV and the 2015 USUDC. Andrew also worked as an associate editor of the Monash Debate Review and served as Registrar for the 2014-2015 Worlds Council. He currently works as a policy aide in the U.S. House of Representatives. You can reach Andrew on Facebook or by email. 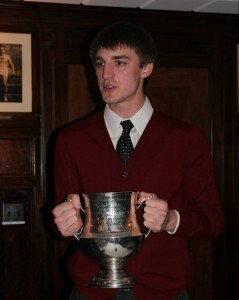 Sam, the 2015 Council Secretary, debated for Yale from 2010 to 2014. As a debater, he reached the semifinals of WUDC Chennai 2014, the finals of NAUDC 2013 Toronto, and won the 2013 USUDC at La Verne. He's now living in Cairo, Egypt, and intends to start a Masters program in Arabic this summer. Sam's goals for his year as secretary are to build a new website for Council--you're looking at it!--to help with the big Constitution overhaul currently underway, and to clean up communication flow from the Executive Committee to the WUDC community. You can reach Sam by email or by sending a Tweet or FB message to the official WUDC accounts--he monitors them closely!